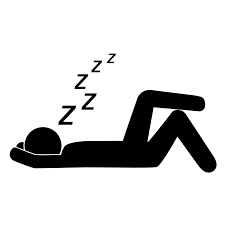 Sleep is "a restorative condition of body and mind which typically recurs for several hours every night, in which the nervous system is less active, the eyes closed, the postural muscles relaxed, and consciousness practically suspended." Is sleep a problem ? Sleep is an essential need, and all of us know how distressed we get when sleep evades us for even a few days. Sleep problems, including snoring, sleep apnea, insomnia, nightmares, and restless legs syndrome are common. Good sleep is necessary for optimal health and can affect energy levels, mood and weight. Regardless of your age, adequate sleep is essential for physical and emotional well-being. A number of essential hormonal changes occur during sleep. This explains the physical and cognitive effects of being sleep deprived. Insufficient sleep puts one at risk of metabolic abnormalities, elevated blood sugar and cardiovascular problems. It is of prime importance to sort out sleep difficulties as early as possible. Sleep restoring efforts in terms of habit reversal, behavioral modifications or medication can help when a lack of sleep leads to disruptions in daily life, social or occupational functioning. Maintaining sleep hygeine, can help in restoring normal sleep. - Try minimizing the time u spend sleepless on your bed. - Limit noise and light in the bedroom at night. - Set a regular bedtime and stick to it. -Avoid coffee and cigarettes in the evening. -Avoid regular use of alcohol. Seek help if lack of sleep is bothersome, physically or mentally! Psychiatry is a medical speciality, like surgery, general medicine and paediatrics. It involves the study, diagnosis and management of mental illnesses and distressing conditons, pertaining to both the mind and body. Misconceptions about psychiatric illness and treatment have some how prevented help seeking behaviour in those who need it the most. This Wall has to go, wherin visiting a psychiatrist should no longer be taboo, and people should be able to openly and freely discuss mental health issues.